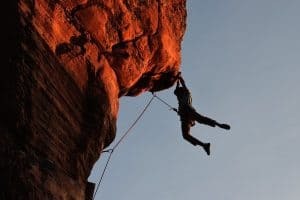 A good climbing harness can be the difference between a fun day at the crag and a painful session working your new climbing project. While we all want a good, well-fitting harness, it can be difficult to find the right one with all of the options available today. 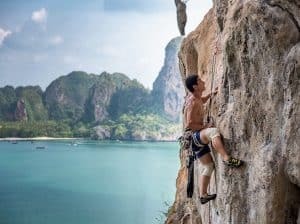 To show you through the world of climbing harnesses, we’ve compiled this buying guide, complete with information on what to look for in a harness. We’ve even reviewed five of the best models in the market today so you can choose the one that’s best for you. If you're short on time, check out our top pick, the amazing Black Diamond Technician. Along with you shoes and helmet, a harness is a key piece of kit in any climbers arsenal. 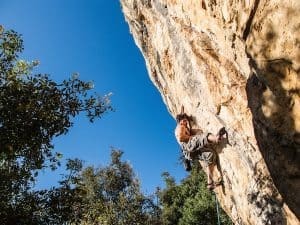 What kind of climbing do you normally do? If you mainly climb in the gym, you might not need many gear loops or additional accessories. 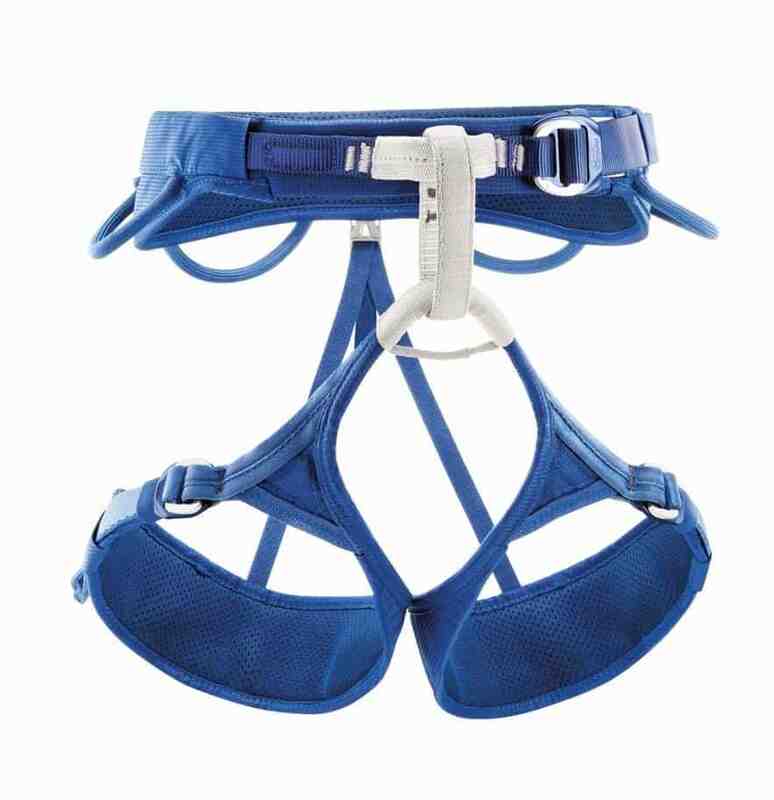 Rather, you’d probably want a slim harness that minimises weight so you can send hard. On the other hand, if you mostly climb traditional rock routes, you’ll want plenty of gear loops for your rack and extra padding around the waist belt and leg loops for those hanging belays. Ice climbers and alpinists will prefer adjustable leg loops that can fit over winter trousers and a plethora of gear loops for all of their gear. If you’re mainly a boulderer, you might as well skip the harness altogether. While most people think that women's specific gear is mainly smaller and pinker, when it comes to harnesses getting a women's specific model over its men's or unisex cousins can make a difference. Women's specific harnesses often have a more shaped waist belt, to accommodate curvier hips. Plus, women's harnesses have a smaller leg-to-waist ratio, so they often feel tighter in the legs. That being said, choose the harness that fits best on you, regardless of how it’s marketed. 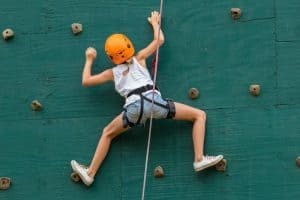 Now that you know the main differences between the different types of climbing harnesses, let’s move on to the reviews. ​The Technician is Black Diamond’s do-everything harness. From steep sport routes to long alpine adventures, the Technician is designed to help you stay comfortable and efficient regardless of the environment. The quick dry waistbelt is incredibly comfortable and the adjustable leg loops let you customize the harness’ fit every time you use it. Five gear loops and a haul loop let you carry as much gear as you want while four ice clipper slots make the harness great for winter climbing too. 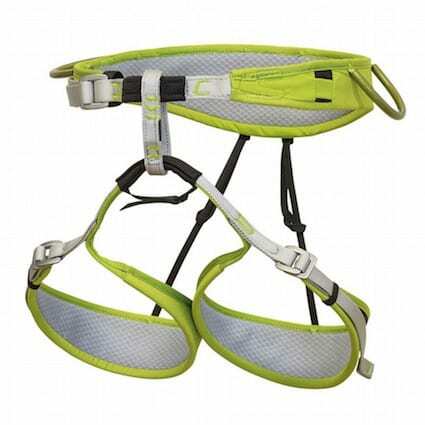 A lightweight and versatile harness, the Technician is a great year-round climbing companion. 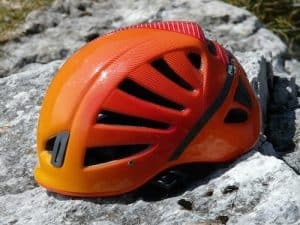 It’s best for people who dabble in a variety of different climbing disciplines who can appreciate all of its features. The Air CR is designed to be a lightweight, robust harness that’s great for quick and light ascents in the mountains. It’s designed to be abrasion resistant, yet lightweight. Four gear loops and a haul loop make the Air CR great for mid-length adventure climbs, too. One of the Air CR’s most unique features is the ‘No Twist’ belay loop, which helps keep you and your gear organised and efficient. The adjustable leg loops are great even in cold or wet conditions. The one downside to this harness is that it sacrifices comfort for weight savings. We recommend this harness for traditional and alpine climbers who can appreciate the weight savings and who will be wearing enough layers to keep this harness comfortable. However, its lack of padding is not overly ideal for sport or gym climbers who hang or fall frequently. 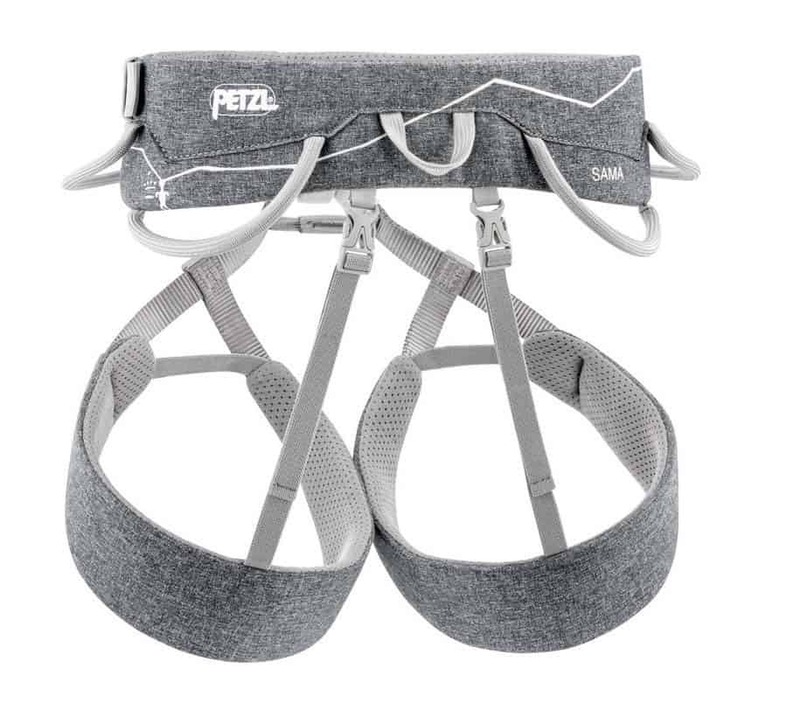 ​Petzl's Adjama is a simple and comfortable climbing and mountaineering harness that is ideal for single and multi-pitch adventures. The wide padded waistbelt with ENDOFRAME Technology gives the harness great weight distribution and comfort throughout a climbing day. 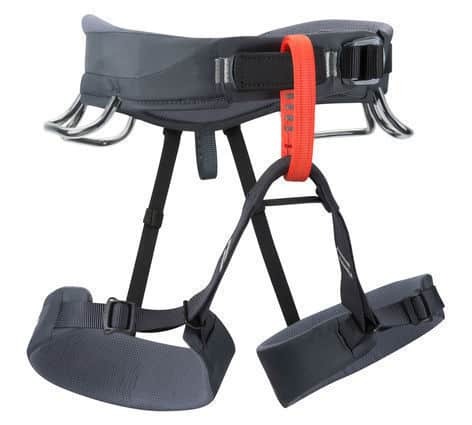 Adjustable leg loops make it a great harness for both indoor and outdoor use. However, the thicker padding on this harness does mean that it doesn’t breathe as well. 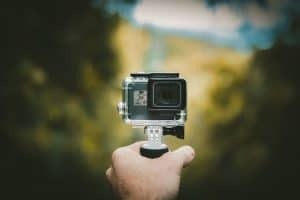 Plus, the extra comfort comes at the price of a higher weight and a larger impact on your wallet. ​Designed with sport climbers in mind, the Petzl Sama is great for people who fall or hang a lot on hard projects. 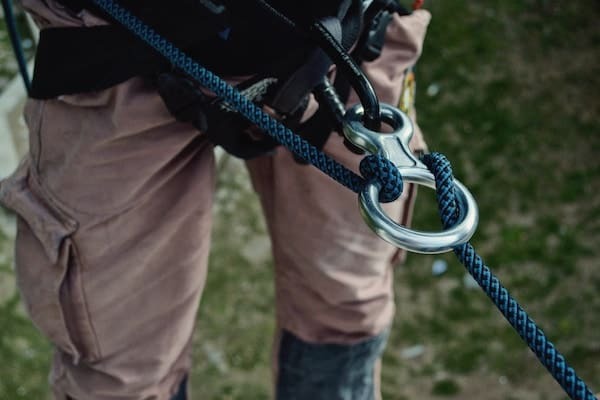 Perfect for indoor or outdoor use, the Sama's elasticized leg loops make putting on the harness a breeze but do limit its functionality for traditional and alpine climbing. The waist belt is thinner in the front of the harness so it doesn’t impede movement, but it has enough padding to keep you comfortable while projecting difficult routes. Four gear loops and a haul loop give this harness enough racking space for all your gear, too. This harness is heavy, however, and the comfort of extra padding means that it doesn’t breathe as well as other alternatives. But, if you’re looking for a harness for your sport climbing needs, the Sama might be the harness for you. ​Climbers who prioritize comfort and affordability might really enjoy the Black Diamond Momentum. Build with a well-padded waistbelt and quick adjusting TrakFIT leg loops, the Momentum is easy to customize to help you get that perfect fit. It’s a lightweight harness with four gear loops and a haul loop to store all your gear. The Momentum is a great gym and sport climbing harness for hard sends and long days of belaying. There are two downsides to this harness - one, that the plastic leg loop buckles can be finicky and prone to breaking; and two, that all that extra padding means the harness doesn’t breathe that well. 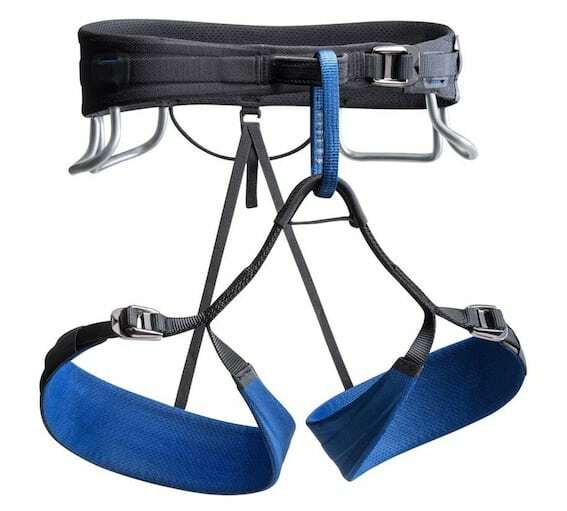 All five of these harnesses are great choices for your next climbing adventure. But, if we had to choose just one, the Black Diamond Technician would come out on top for its great mix of comfort, versatility, and light weight. Regardless, be sure to choose a harness that best meets your needs so you can climb hard without worry.